I love tacos and it can be difficult to find great tacos in Tokyo. 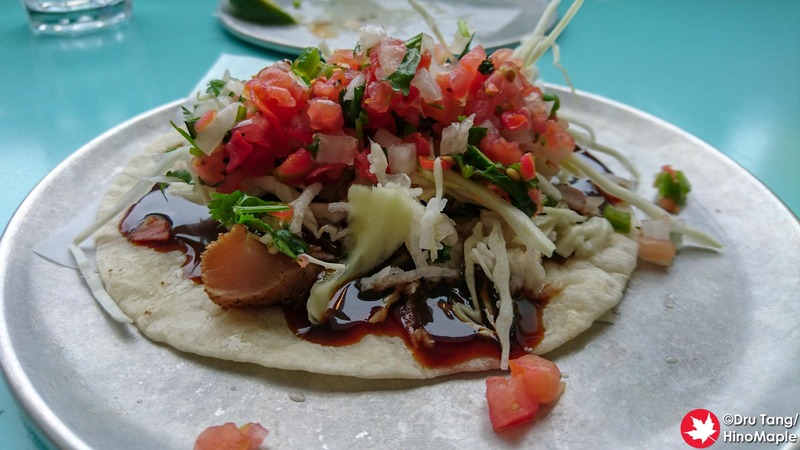 When I go back to Vancouver, sometimes I want to look for good tacos as well. Sometimes I succeed but often I just get tacos that are okay. 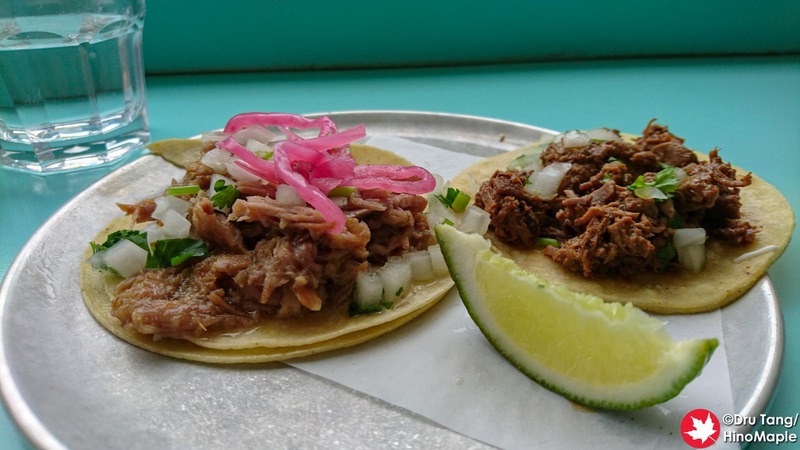 For the first time ever, I found tacos that just blew my mind and they were at La Taqueria. 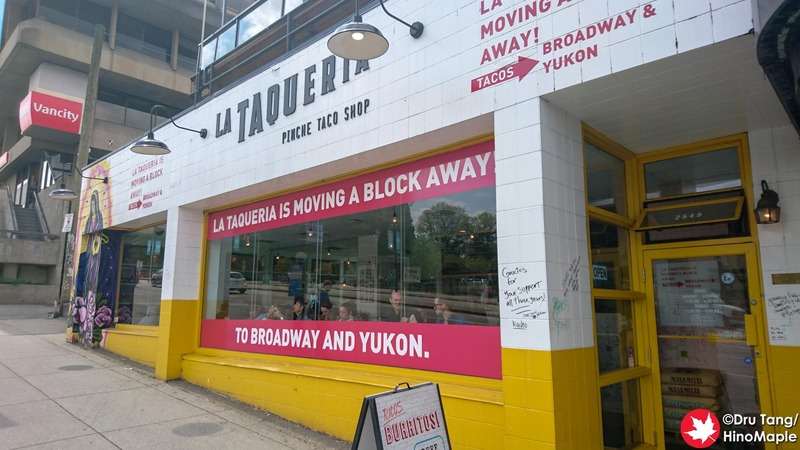 La Taqueria is a small chain of taco shops in Vancouver. I only went to the Cambie location as it is the closest to my parents’ house and I can easily walk there within 30 minutes. While I was a little suspicious about how good these tacos would be it lived up to the hype and I loved it so much that I had to go twice! Note: This location has closed and moved to Broadway and Yukon. 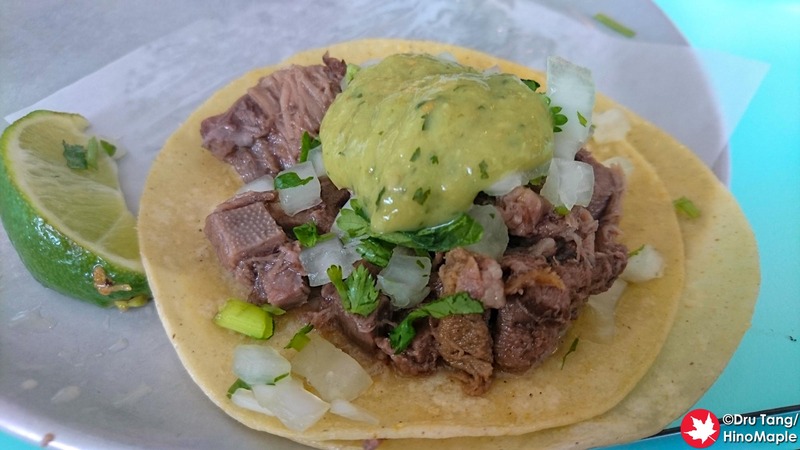 There are 2 main types of tacos, the corn and flour tacos. The flour tacos are a lot bigger so getting 2 or 3 is more than enough. The corn tacos are smaller, so for myself I would need 4 for a full meal. There are a lot and I really can’t remember everything that I had. I tried a good variety of tacos and all of them were great. 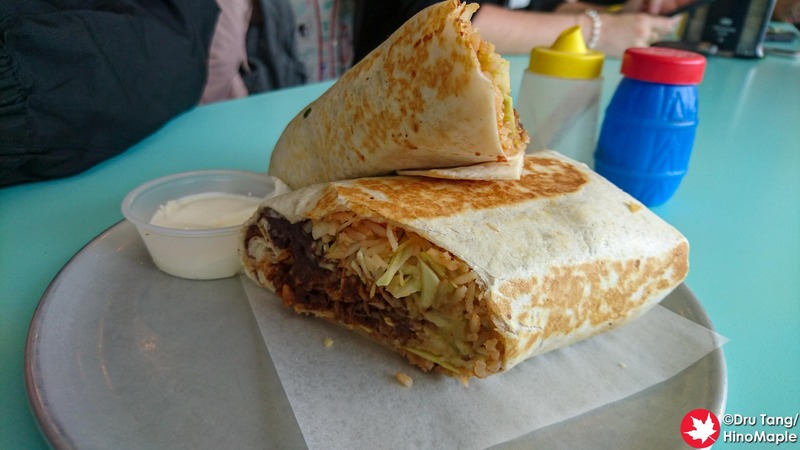 I even tried their burritos and it was also wonderful. It wasn’t full of rice rather it was filled with a good mix of food goodness. I got the Pollo con Mole burrito which included a chocolate mole sauce. While I’m not a huge fan of chocolate sauce, it worked really well with this burrito and I’d get it again after trying the entire menu. La Taqueria is often busy, so it is best to go when it isn’t lunch or dinner time. I loved it so much that I know that I will be back again. Finding a great taco can be difficult at times but I will definitely be back and I will definitely brave the lines if I have to. I don’t normally like to wait in line, but at La Taqueria it will be worth the wait. 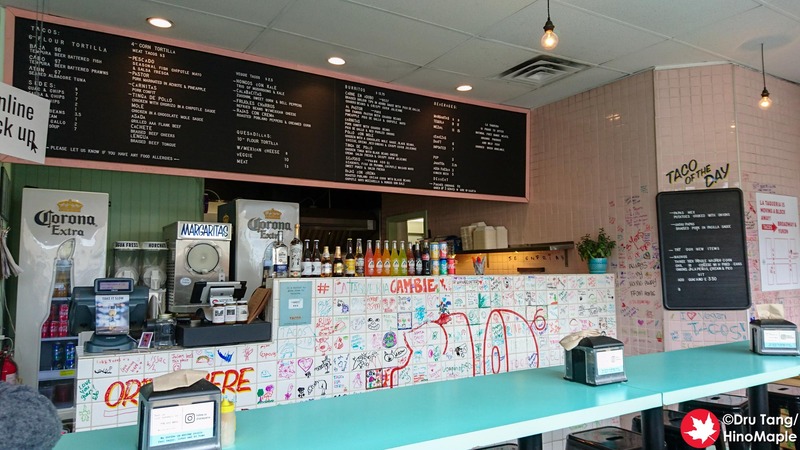 This entry was posted in Canada Food and tagged Burritos, canada, La Taqueria, Mexican Food, Tacos by Dru. Bookmark the permalink.